Landing pages are the bread and butter of any website. E-commerce stores, blogs, consultants, and nonprofit websites lean on landing pages to build their objectives. Landing pages will vary by design, copy, and placement. Yet, there are some items that create a great landing page with professional freelance copywriting services no matter their purpose. Strong copy, great Call To Actions, and content structure are just a few key things to keep in mind. Your business or nonprofit organization should design each landing page for a specific purpose. Each landing page must have one specific intent and goal, and you can use several online marketing tools for small business to help your business make great landing pages today! How you make and use a landing page depends on your industry and business goals. Where you place a landing page will depend on what you say at that particular customer touchpoint. This is the most basic form of a landing page. It is a great way to encourage your audience to learn more about your products or services. This type of landing page displays a lot of information and helps build trust for the audience. Desired Action: Audience read information then click through the site to take action. Your audience does not know your brand at this stage, so show your personality and start a great relationship. How To Judge: What links were clicked, how many people clicked, and conversion rate in the next steps of the journey (relevant content). This type of landing page collects information for future marketing efforts. The main fields to capture are First Name and Email Address. An incentive is usually offered in return for the personal information of your viewer. Desired Action: Audience to provide their personal information. Usually used to build an email list. Your audience already trusts your brand at this point, so provide great premium content to capture their information. How To Judge: How many people provided their information? Look at the information collected, downloads subscribe. This is kind of like a digital infomercial. It uses engaging language to entertain and educate your audience. The pages are usually longer, and use lots of images to repeat the message. Often you will use this type of landing page at the early stages of the customer journey to build awareness. Desired Action: Audience is meant to keep reading (entertainment) to dive deeper into the education and move forward in the action sequence. This type of landing page is used after the Click Through Landing Page establishes trust. How To Judge: Time on page, CTR, the progression of the content/message. This type of landing page builds viral buzz and brand awareness. Engaging and memorable content makes it easy to share through email, social media, etc. The purpose of this landing page is to draw people in and move them along toward a Lead Capture Landing Page. Desired Action: Audience to share the content with their peers. This will help spread the word about the brand, and you should use this information to judge the effectiveness of the landing page. How To Judge: Social shares, new sessions, CTA clicks. This is a strong education page that promotes information about your products or services. You can treat this landing page type as a one-stop shop for people to learn about a specific product or service. You can combine different copy, but the purpose of this landing page is to educate without entertainment. Desired Action: Keep audience on the page without wandering off. Focus on the information you share above entertainment. Your audience is already pretty far along their journey, and likely comparing you to your competition. Don’t be afraid to point your why you are better and your value. How To Judge: Sub-pages visited, time on page, CTR, and engagement. 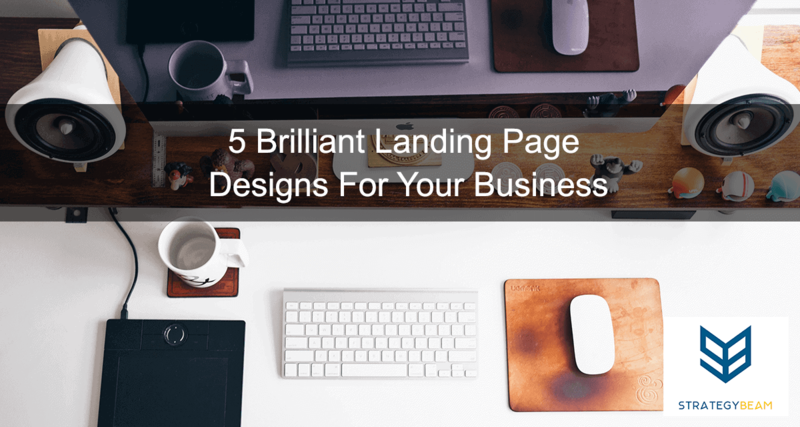 This is only a small set of landing page designs for your business. It is a lot more to talk about on when, how, and why you would use one type compared to another. Your organization is losing a lot of money if you are not placing the right type of landing page in your content for the customer journey. Now it’s your turn. What type of landing page design has worked for your business and organization? Let me know in the comments below!